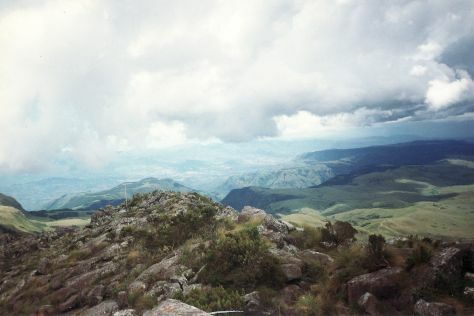 Misty mountain ranges and waterfalls take first place among Manicaland Province's attractions, where vantage points from heights of more than 1,000 m (3,281 ft) give sweeping views. Scenic capital Mutare City provides a convenient base for sightseeing in Manicaland, with safaris and natural sights nearby. Museums portray age-old traditions of the local Manyika tribe, botanical gardens offer verdant retreats, and animal conservation efforts attract animal-lovers. Manicaland Province is in Zimbabwe. Whether you only want to go to Manicaland Province, or have a whole adventure planned, Inspirock has you covered with our user-friendly Zimbabwe trip planner .